Once again we’re digging out the picnic hampers and cloudy lemonade in anticipation of the 2014 Pre-War Prescott event to be held on 19th July at the very scenic Prescott Speed Hill Climb venue. We’ll be there again, as sponsors, with our hospitality tent and period vehicles including the Triangle Skinner Special which will be demonstrated yet again by our very enthusiastic staff! 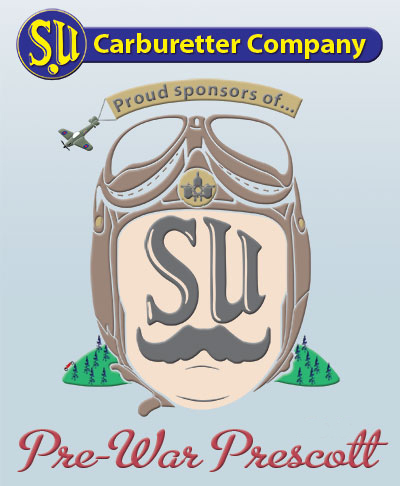 With SU Carburetters fitted to so many of the Pre-War cars in attendance it just makes sense to be there to meet and greet the owners and offer words of wisdom if needed. Head on down to http://www.prewarprescott.com/ to get booked in and secure the very unique opportunity to drive this historic venue in a relaxed, untimed manner in your road going Pre-War car.